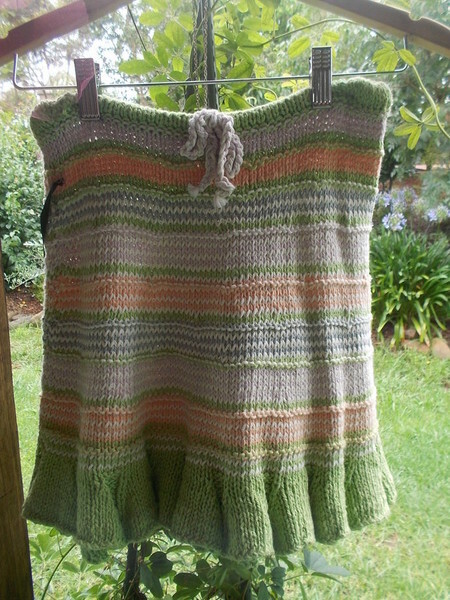 This listing is for 1 summery cotton skirt with ruffled hem. 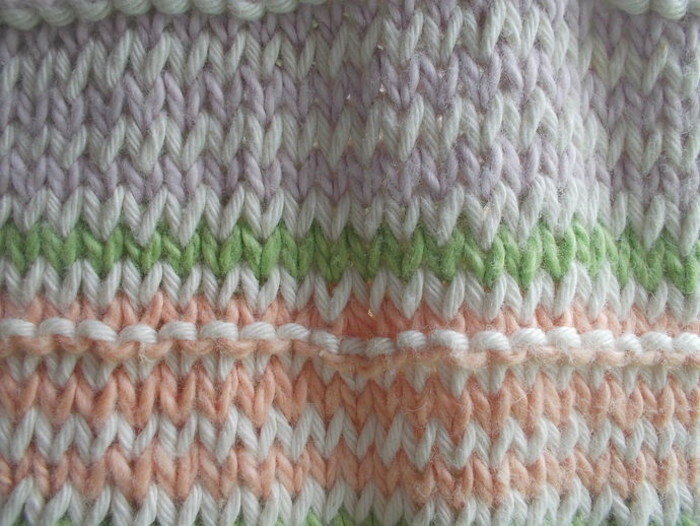 A one off original design hand knit made from soft 100% cotton yarn in a mix of orange, white, green and mauve stripes. 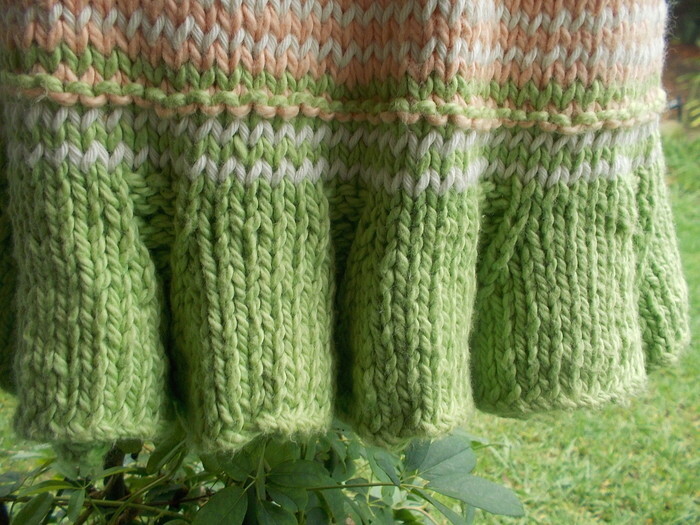 Perfect for warm days or layer over tights in winter. 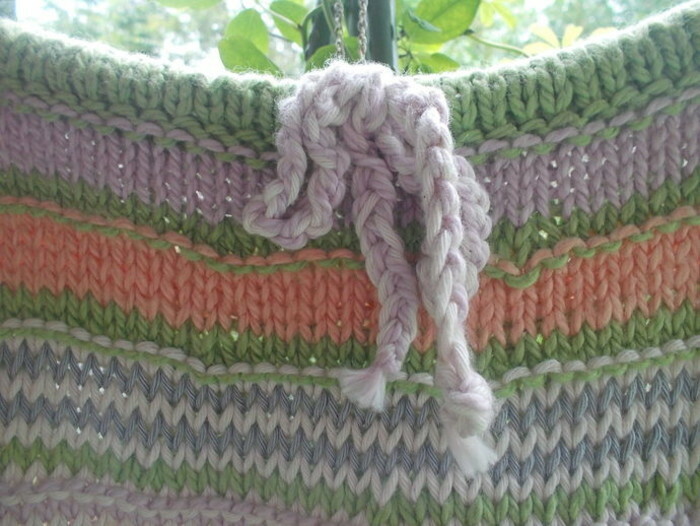 Has an elastic waist with a drawstring.